Benjamin Alard embarks on a project of a lifetime. The general listener is often wedded to the idea of originality as the hallmark of genius. Professional musicians, having had more of an opportunity to delve into the formation and evolution of a composer’s musical language, know better. Thankfully, more and more are willing to share the fruits of their researches in ways that expand our understanding – of works, as well as the world of the composer – in novel recording projects such as harpsichordist and organist Benjamin Alard’s. By the time he reaches the end of his complete account of JS Bach’s keyboard works, Alard will have been the first musician to do it. On the strength of this first volume, we can look forward to great things. Subtitled The Young Heir, this instalment introduces us not to Bach the genius but Bach the ten-year-old, recently orphaned and sent to live with his older brother, Johann Christoph in Ohrdruf, not far from his native Eisenach. Alongside Bach, CD1, which covers the Ohrdruf period, includes a variety of chorales, sonatas, suites, preludes and fugues by Frescobaldi, Johann Michael Bach, Johann Chrisoph Bach, Kuhnau, Böhm, Froberger, Pachelbel, Marchand and De Grigny. CD2 covers Bach’s schooling and musical studies at Lüneburg, the latter most importantly with Georg Böhm, who taught Bach about absorbing different styles into one’s own music and how to use the Lutheran hymn as a basis for elaboration. Here we are treated for the most part to the results with a number of Bach’s chorale preludes. CD3 finds Bach in Arnstadt, having taken up his first professional appointment as organist of the Neue Kirche. Again, it’s all-Bach; however there are fewer chorales and more suites, fantasias, preludes and fugues, as well as the Capriccio sopra la Lontananza del suo Fratello Dilettissimo (Capriccio on the departure of a beloved brother). 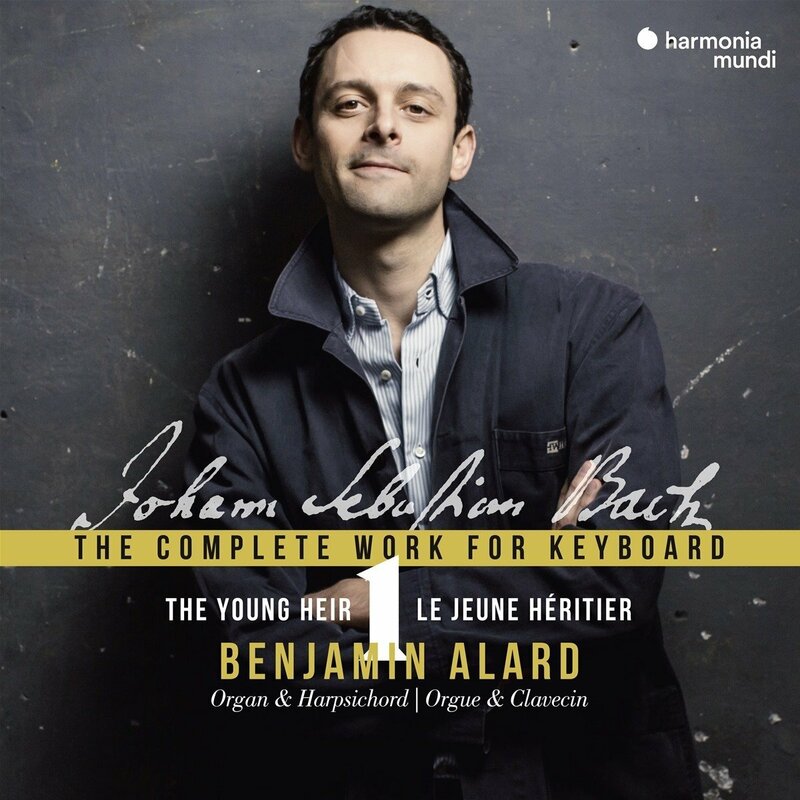 Alard performs with supreme taste and an extraordinary ear for colour and cantabile phrasing on the powerful 1718 organ of the church of Sainte-Aurélie in Strasbourg and a resonant harpsichord built by contemporary master Émile Jobin after Joannes Ruckers (1612) and Joannes Dulcken (1747). Soprano Gerlinde Sämann’s performances of the chorale tunes, “to enable the listener fully to understand the meaning,” is a delightful and instructive bonus.